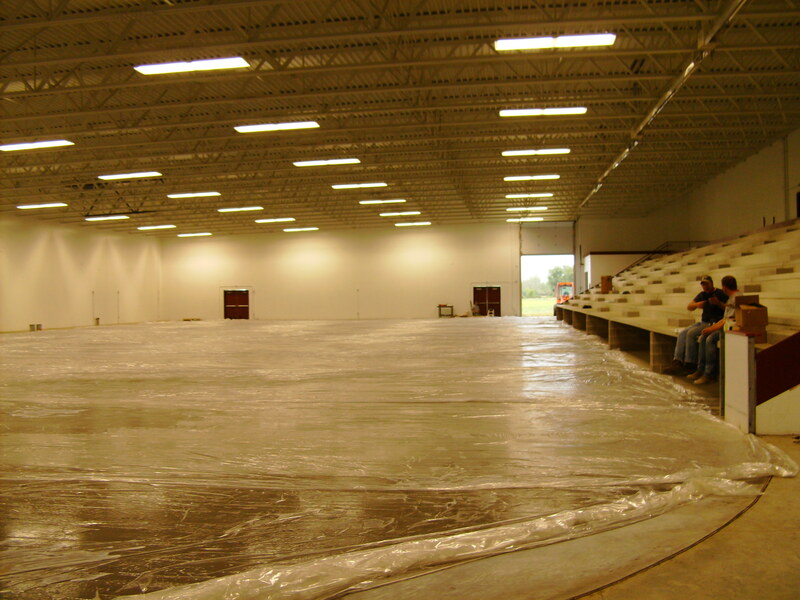 In any climate, an ice arena surface can be installed in a properly built space. This consists of a bed of sand or occasionally a slab of concrete, through (or on top of) which pipes run. 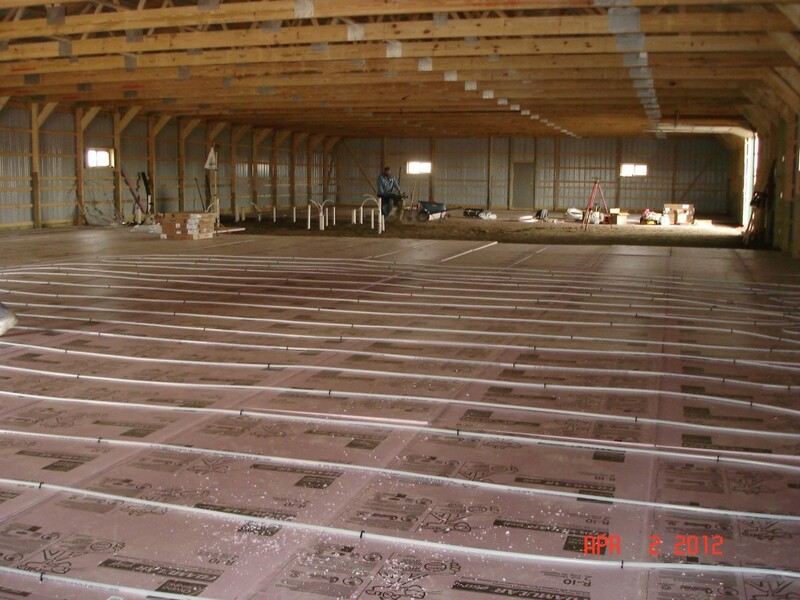 The pipes carry a chilled fluid (usually either a salt brine or water with antifreeze, or in the case of smaller rinks, refrigerant) which can lower the temperature of the slab so that water placed atop will freeze. 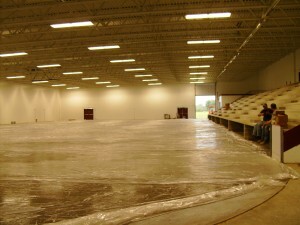 This method is known as ‘artificial ice’ to differentiate from ice rinks made by simply freezing water in a cold climate, indoors or outdoors, although both types are of frozen water. A more proper technical term is ‘mechanically frozen’ ice. A famous example of this type of rink is the outdoor rink at Rockefeller Center in New York.